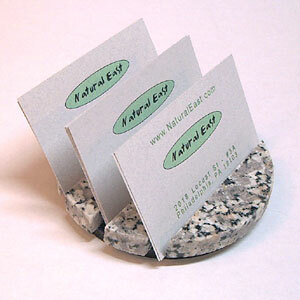 Round Business Card Holder (natural granite): Turns your cards into sculpture! Our sculptural desk accessories are where form + function meet. Crafted from 'misty dusk' granite... holds up to 45 cards.